I used to be a rather good Bridge player [the elite card game]. I don’t play anymore because it’s a bit like chess – to be the best you’ve got to spend most of your time studying it. When would I write? Iago in Shakespeare’s Othello. He is such an evil guy and loves to create mayhem. In particular he takes joy in turning other people’s happiness into misery. So why is he so attractive? Because he has a great sense of humour and doesn’t try to find excuses for himself. He is what he is and he’s happy with that. Shakespeare, obviously [a brilliant opportunity to find out about the man’s life because very little is known]; P.G. Wodehouse would bring a few laughs; J.K. Rowling because she would confuse Shakespeare; Thomas Hardy because it’s possible Wodehouse would cheer him up; Gordon Ramsey, the celebrity chef because he would make the dinner fantastic and swear at all the other guests. H.G. Wells’ Time machine. Wouldn’t it be great if all of time was open to us? Unpredictable. Focused. Hungry. Simple. Happy. Immortal, prolific, funny, famous, best-selling. If you were travelling in a car at the speed of light and you turned on your headlights, would anything happen? I’d ask Douglas Adams, the author of Hitchhiker’s Guide to the Galaxy because he would come up with an amazing answer! What a cruel question! I can’t imagine life without either of those things. But, really, it’s not too difficult when I stop and think. I would have to choose never to write another story because there are so many books and so many worlds still to explore. I just wouldn’t be very happy if I couldn’t create my own. 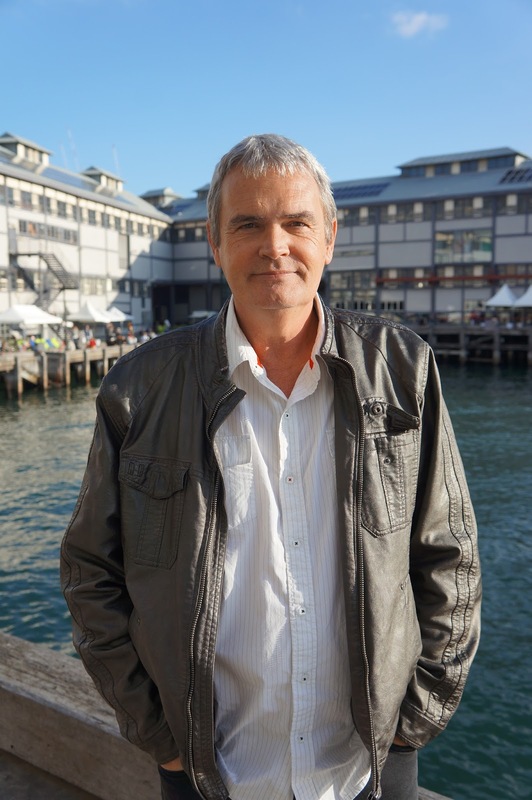 Barry Jonsberg is an award-winning author living in Darwin, Australia. His books include the novels It's Not All About YOU, Calma! and My Life as an Alphabet. 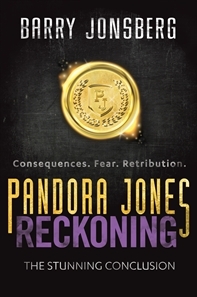 His latest novel is the third and final book in the Pandora Jones trilogy, Reckoning, published by Allen & Unwin. 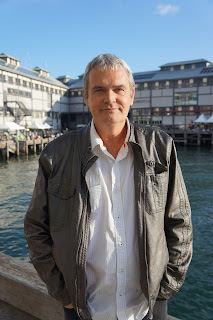 Visit Barry's website and Facebook page for more information about his books and author events.